"1555 N Dearborn Parkway is located towards the North end of the Gold Coast adjacent to the start of Lincoln Park. Owners must live in unit for 2 years before renting. Units are much more affordable than comparable nearby building at 1555 N Astor." 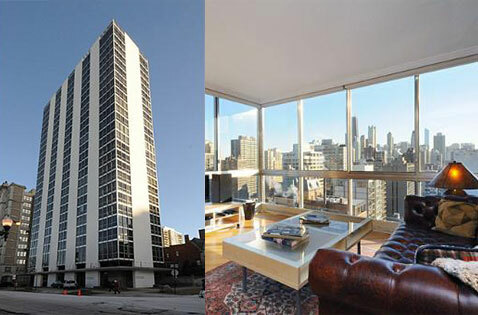 1555 N Dearborn is a distinct high-rise situated at the southern end of Lincoln Park in Chicago's elite Gold Coast neighborhood. The prime location puts this building steps from the park, the lake front and bike paths. Residents also appreciate its proximity to downtown Chicago and all of the conveniences that city life offers. Building amenities include a sundeck with panoramic city and lake views, additional storage and 24-hour doorman service. Residences of 1555 North Dearborn have been updated over time to offer a wide range of floorplans and modern fixtures and amenities. In addition to luxury finishes, units also feature floor-to-ceiling windows with extensive views of the lake, park and city skyline. 1555 N Dearborn is not pet friendly. Onsite parking is available for rent in the attached parking garage.